It is 30 years that Marpel deals in Italian Stock Leather market. It is one of the most important firms in Italy, an essential point in the leather import and export. 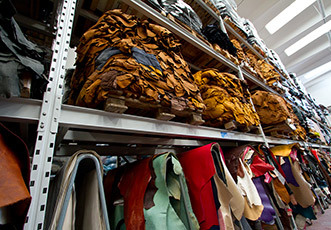 In Italy leather manufacturing employs a big number of people; there are from little leather goods factories to leathering large industry, but also little and big shoe factories; the requests coming from these categories are different and at this point Marpel work becomes a key point; Marpel makes all effort to satisfy the different leather requests, in order to obtain a varied production. Important brands and not only applies to us, because we also propose leather stock sale. Italian Stock Leather sale is a kind of offers that we suggest, and our maximum slogan always remains the optimum quality-price relations. Italian Stock Leather sale is a sort of parcel where different types of leather (swine, bovine, ovine, caprine), useful in order to obtain a multiplicity of different products, are proposed. As a guarantee of leather stock sale there is our thirty-year experience and this is the reason that allows us to assure big yield. We don’t offer a secondary product, but diversified products. We take advantage in qualified collaborators and consulting and we do our best in order to find the best leather. Marpel deals in Italy, exactly in Tolentino placed in Marche region, a land where the leather usage finds its highest utilization. In Marche region there are many little artisan workshop, but also big industries; bags, luggage, shoes, accessories are created using our leathers, and this is the reason that allows us to satisfy promptly the continuous market solicitations, a market where it is of fundamental importance to keep up with the times. It is important that the usage of different types of leather and their initial manufacturing has to reflect the various use manners. Ask us information, informative brochures (booklets), we will put on our experience at your service, as to Marpel it is possible to ask everything related with the variegated leather world; leather import, leather export, leather stock sale, leather for shoes and so on. Since time immemorial, Italy boasts a tested agricultural activity, of which sheep-farming and bovine breeding, with the swine one, make up an export credit item. 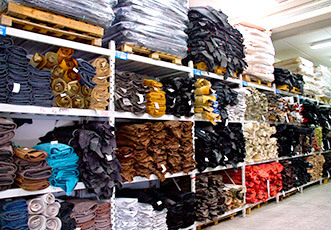 Quantity and leather variety of the produced leather that not only satisfies the huge internal request but also concur in the export. 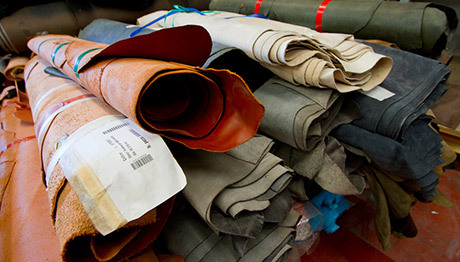 Leather export finds in Marpel its reference point, setting it as the first Italian firm in leather export. As well as export Italian Stock Leather, it also makes leather import in order to guarantee raw materials multiplicity, such to satisfy all requests. Big firms refer to Marpel but also little workshop owners. Leathers offers from Marpel meet everybody requirements and also offer semi processed and leather stock. The firm maxim (slogan) is the optimum quality-price relations. 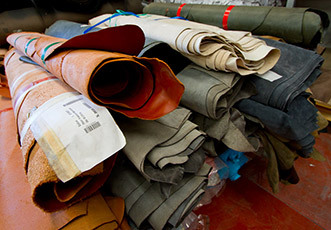 Come to us in Tolentino, in Macerata district situated in Marche region, to discover the leather wide selection. It is also possible to contact us in order to receive an informative depliant. It isn’t a change that our office is in one of the Italian region with the highest shoe and leather goods production; this allows us to examine closely our leather usage, and we can promptly ask to changeful market requests. Our duty is to provide the right leather for every usage time; it is only through this leather export activity and in the same time leather import activity that we propose in keeping a so wide range of products. At the same time, we are a credit item in Italian export. We put our thirty year experience at your service. 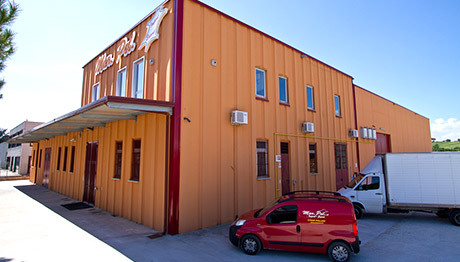 Marpel is the firm that deals in Italy, and is leader in leather import of Italian Stock Leather. Its office is in Marche region, exactly in Tolentino, a pleasant place that has made of leather manufacturing its strong hold. Our competence is tested and we satisfy the request both of the industry and little artisan firms. In addition to leather shoe sale we also deal in other leather sectors, thanks to the proposed leather quality and multiplicity. 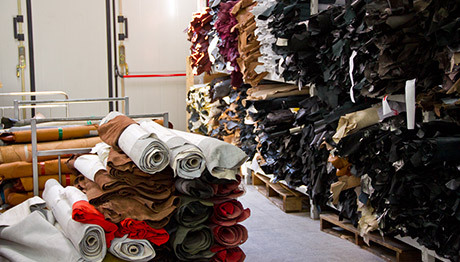 Our leather import activity is tested over more than 30 years; we are leather import and export leader in Italy. Import is our strong point, but we are also well organized in certain types of leather export. Leather export refers to raw materials multiplicity and variety; bovine leather import; ovine, swine, caprine, etc leather export. 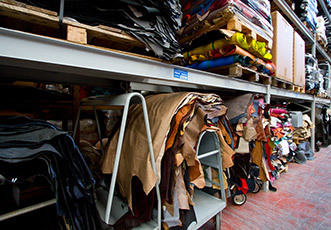 We also propose semi-processed leather import, in order to deal with great requests. In addition to be specialized in quality leather import, we also propose a leather stock sale, as a result of the articulated internal demand, cheapest requests. So we have at disposal leather for all type of manufacturing, with different costs. Italy is an undisputed leader in leather goods production, shoes; especially big quality products, even if, as a result of the worldwide crisis, the production has been placed side by side with medium quality products. So Marpel is placed in the Italian market as the indisputable industry in leather import, a really reference point for everybody who need leather; it is possible to receive a catalogue of products, or come to our office. Marpel remains at disposal for every need and requests, with the usual reliability and seriousness. Marpel imports every kind of leather every producer countries and supplies on the national market shoe manufacturer/maker and leather firms in general it also retails to local subcontractors both in Italy and in foreign countries. MAR. PEL. srl - Via G. Rossini, 71 62029 Tolentino (MC) Italy Tel.+39 0733 960030 - Fax+39 0733 968049 PI 01247880436 Powered by Studio Colors s.r.l.